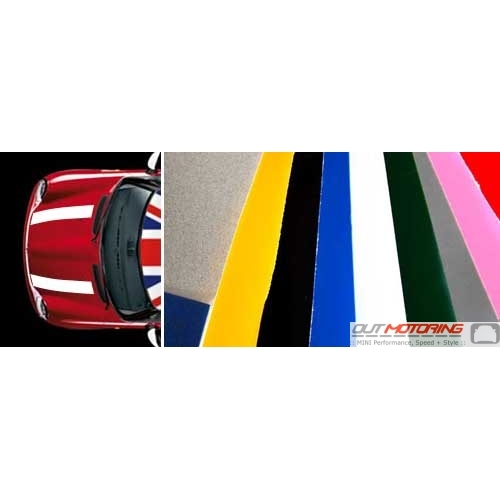 Made from durable outdoor long lasting vinyl, this stripe kit can be used on either the boot or bonnet (buy 2 kits to do both). Easy to apply and maintain, this is a great low cost way to make your MINI even more distinct and personalized. 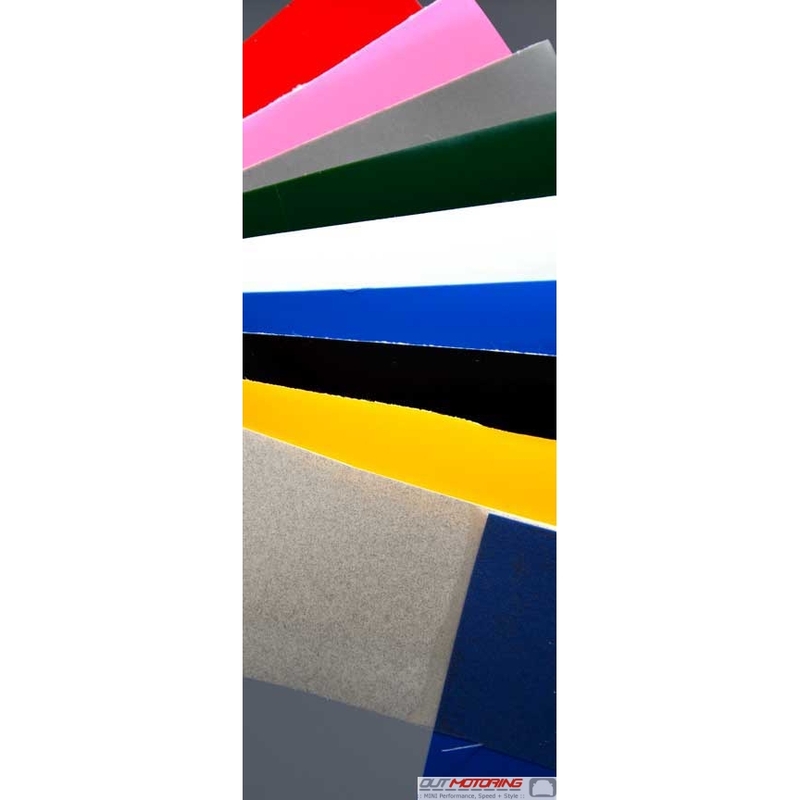 The kit allows the stripes to be installed with as much gap in the middle as desired and at various angles unlike the factory stripes which can only be positioned at the angle that they were cut. Our kit is extra long so you can go wild with the angle and wrap the edge under the bonnet for a clean install. Simple installation requires a 10:1 ratio of water to soap in a spray bottle, 45 minutes or so and some patience. Dimensions of EACH stripe is 5" x 36" or 40" (length is determined by model). Please ensure the drop-down menu selection accurately represents your model so as to ensure best fitment length. Each kit includes 2 stripes.